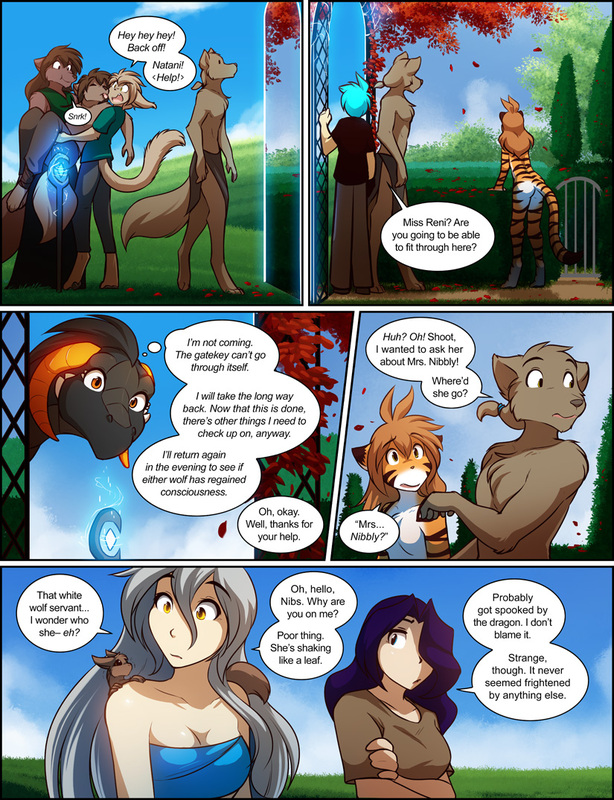 1019: Squirreled Away - Twokinds - 15 Years on the Net! Keith: Hey hey hey! Back off! Natani! (in Keidran) Help! Trace: Miss Reni? Are you going to be able to fit through here? Reni: (in thought) I’m not coming. The gatekey can’t go through itself. I will take the long way back. Now that this is done, there’s other things I need to check up on, anyway. I’ll return again in the evening to see if either worlf has regained consciousness. Trace: Oh, okay. Well, thanks for your help. Sythe: Huh? Oh! Shoot! I wanted to ask her about Mrs. Nibbly! Where’d she go? Raine: That white wolf servant… I wonder who she- eh? Raine: Oh, hello, Nibs. Why are you on me? Poor thing. She’s shaking like a leaf. 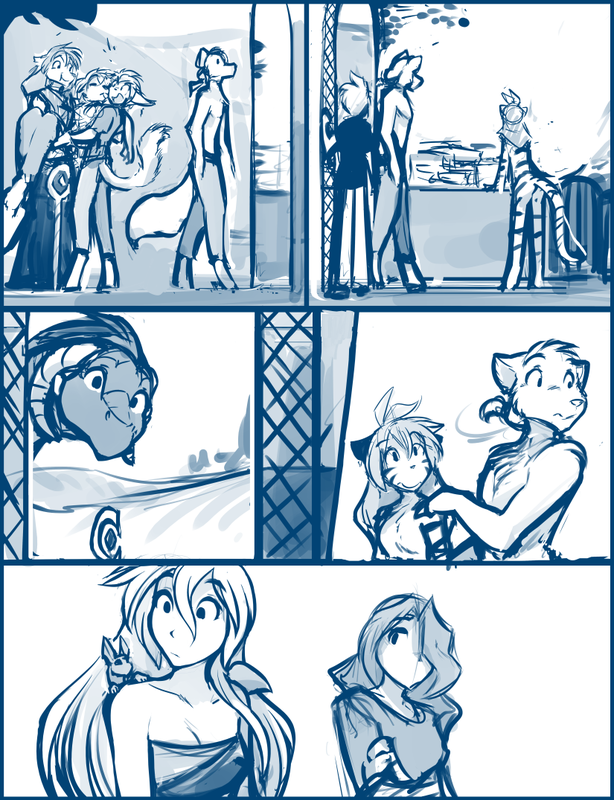 Maren: Probably got spooked by the dragon. I don’t blame it. Strange, though. It never seemed frightened by anything else. Page transcript provided by Tom!